What does it mean to be deaf? To be deaf in therms of diagnostics could mean anything from having a minor hearing problem to being completely unable to hear anything, however, to be deaf in terms of community and culture is completely different. 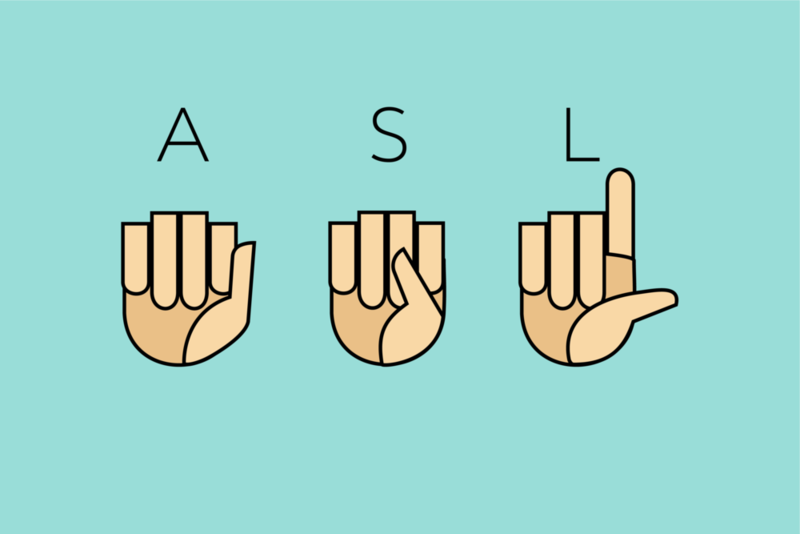 American Sign Language is a way of life for thousands of people, and there’s more to it that it may seem. An ASL 110 course from Santiago Canyon College was available to Villa Park High School students through dual-enrollment, which means students who pass the course can get both high school and college credit for the same class. Although the class costs about $35 to enroll in, the one semester it takes to complete the class fulfills the foreign language requirement, which would take two years of a language offered by Villa Park High School, such as French or Spanish, to fulfill. This semester, the class meets on Mondays and Wednesdays from 3:30 to 5:55 in one of the classrooms at VPHS. The class consists of students of all grades, but they are treated with the responsibility of a college student, which can be challenging at times, but overall, it’s more refreshing than anything. There is an online portion of the class, however, the website is easily navigable , and the work is essentially reinforcement of what you have already learned. The course is somewhat fast at times; however the smaller, more personal classes allows or one to learn easier, faster, and more accurately. Every class has a portion of time devoted to students pairing up and practicing what they have learned so far, which is very helpful, not only in developing muscle memory, but also in being able to comprehend what is being signed by someone else. American Sign Language, as mentioned before, is not just language, but a culture, and this course also touches on that aspect of it too. The professor, Mr. Malone, who was deaf for 30 years until he got his implants, shares his stories and perspectives with the class from time to time, opening our eyes to ideas and concepts we wouldn’t normally think of. Eventually the class will even have an assignment to go to a Deaf community event nearby. Mr. Malone also explains growing up and going through school, sharing stories of struggling in elementary school, trying to figure out what the teacher was saying (for he was not assigned a translator or aid by the school), and college when he lived in a Deaf dormitory, where everyone there was either deaf, or studying to be a translator or aid. Those in this class have also learned of the perceptions of deaf people through the professor’s comments. For instance, during the first class of the semester, there was a moment of silence in the class, and the only sound that remained was the ticking of the clock on the wall, which no one paid any mind to. After a minute or two, the silence was broken by Mr. Malone commenting on how loud the clock was, even adding, “That would never pass in my house.” Later in the same class, when we were being taught M in the alphabet, he mentioned how throughout his life, he has always noticed peoples’ thumbs, and more specifically their length. Most hearing people probably wouldn’t start a conversation with someone and mentally recognize the length of the other person’s thumb, however, that is just one of the many things deaf people may notice. These are just some examples of the different perspectives of a deaf person could have that others might have not considered. The class also learns about part of the social issues against the Deaf community, such as the difficulty for deaf people to get simple jobs that require little communication, and deaf middle school students having rudimentary knowledge of ASL. As a young child, the professor remembers the mother’s struggle to find someone willing to hire her, for she too was deaf, and he has friends that he graduated college with that were having trouble finding decent jobs, even after they obtained their degrees. Although these issues are not nearly as bad as they used to be, they still exist and people should be aware that this is still a problem. ASL 110 is a class in which to learn American Sign Language, but in the process, you’re introduced to a new culture unlike any other. Through spreading awareness of the perspectives and challenges of those in the Deaf Community, one can make an effort to change things for the better, and this class is a good way to start. My Continuous New Year's "Resolutions"